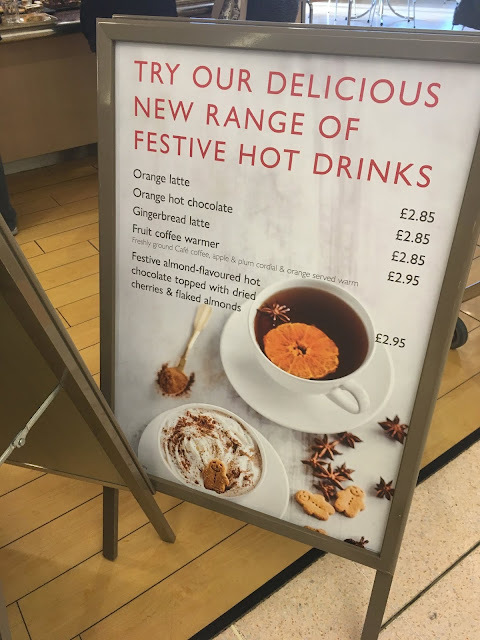 I was picking up a few groceries in Waitrose and spotted some interesting sounding drinks on their cafe menu. I decided to try out the weirdest sounding one; Waitrose Fruit Coffee Warmer. I love a flavoured latte as much as the next person but there is something odd about the description of coffee and apple and plum cordial mixed together. The drink comes black because adding milk to this mix would be even more bizarre. 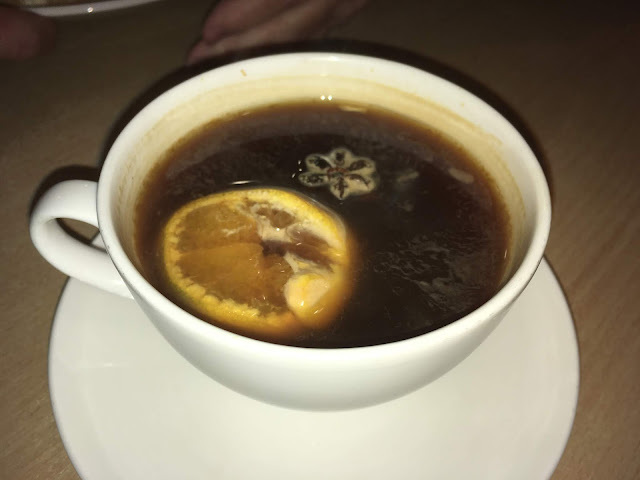 I gave it an order and the man behind the counter chopped an orange and put a slice in a mug, added a shot of cordial to the cup, and a star anise. If only had stopped at this point and simply added hot water, but no he added what was essentially a black coffee americano to the mug and passed it over to me. I starred at it for a while at the table before daring to sip. I managed to convince myself that it must be okay, otherwise it wouldn’t have made it on the menu of a large supermarket. I gave it a sip, I have no idea how this passed any customer testing, it was weird and I found it unpleasant. The acidic orange and plum fruits and coffee just do not mix. I finished the mug to give it the full test and because apparently I hate myself, the flavour did not grow on me. They mixed flavours I love and combined them into something I found myself detesting. There are conclusion here, firstly there is no place for sliced orange in coffee. Secondly hot fruit cordial on its own works, lets not mix it with coffee either. Finally if you are in Waitrose cafe choose the Orange Hot Chocolate if you want something with citrus in your drink!